This traditional ayurvedic formulation helps reduce blemishes while providing youthful skin. 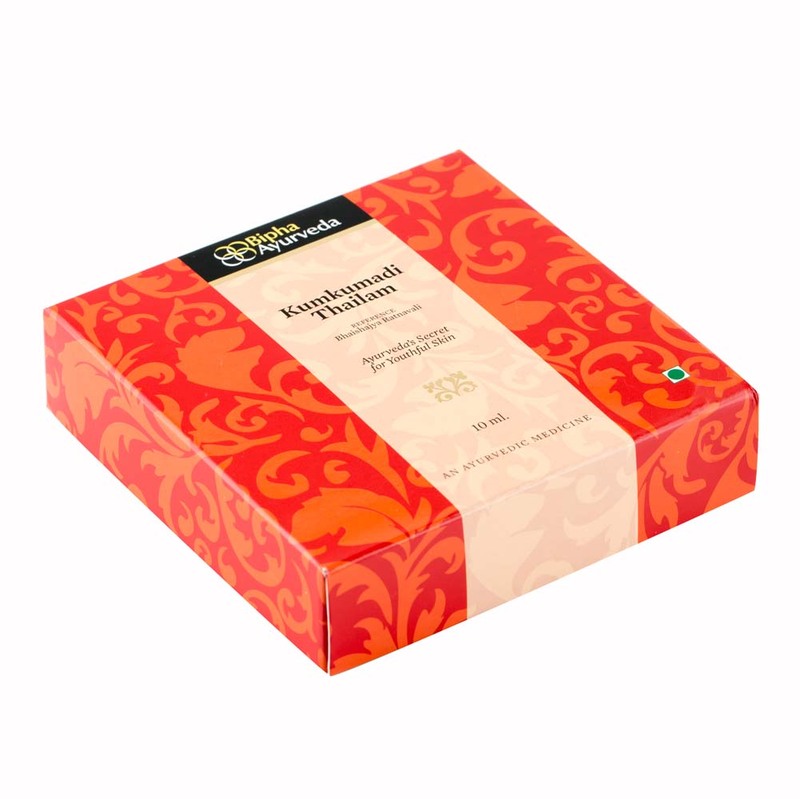 Add this KumkumadiThailam as a part of your beauty routine to improve the health of your skin.KumkumadiThailam is made with the ingredients having cooling, soothing and anti-ageing properties which helps soothe skin. Apply few drop of this oil regularly and get a radiant.The amazing blend helps lighten dark circles under your eyes and pigmentation of skin resulting in even skin tone. It further improves the complexion and texture of your skin. Crocus sativus, santalum album, laccifer lacca, rubia cordifolia, glycyrrhiza glabra, berberis aristata, vetiveria zizanioides, prunus cerasoides, nymphaea stellata, ficus bengalensis, ficus lacor, nelumbo nucifera, dashamoola, sesame oil, goats milk.This unique luxurious beauty blend is derived from Kashmiri saffron from the Himalayan ghats and enriched with Sandalwood and Vetiver. Sponge skin with warm moist towel. Take four to five drops of Kumkumadi thailam using dropper from the dropping bottle and apply on your skin, followed by a gentle finger tip massage. Allow the application to remain on face for at least 5â€“10 minutes before rinsing. For best results, allow the application to remain overnight.